Vintage green depression glass sherbert plate measures 6" diameter. 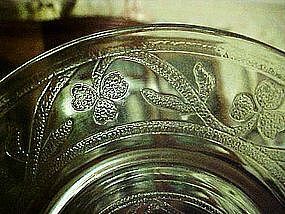 Clover leaf pattern by Hazel Atlas 1930-1936. Great condition with no damages I just have one.